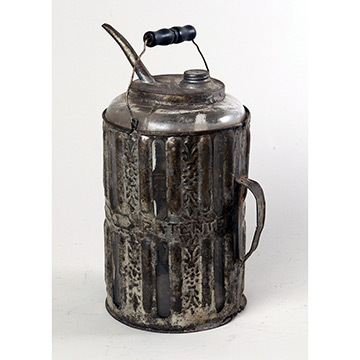 Before homes enjoyed electric light in the early 20th century, urban and rural households used oil lamps. 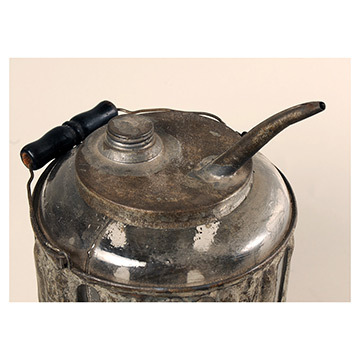 Oil also fueled some cooking equipment, such as the lamp stove displayed in the Kendall Dining Room. 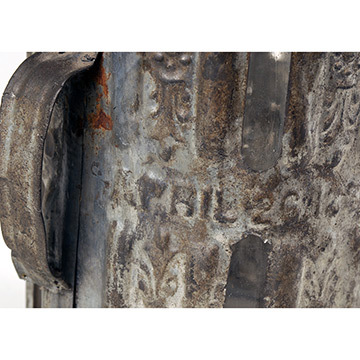 This pressed tin canister protected the glass bottle containing flammable oil. 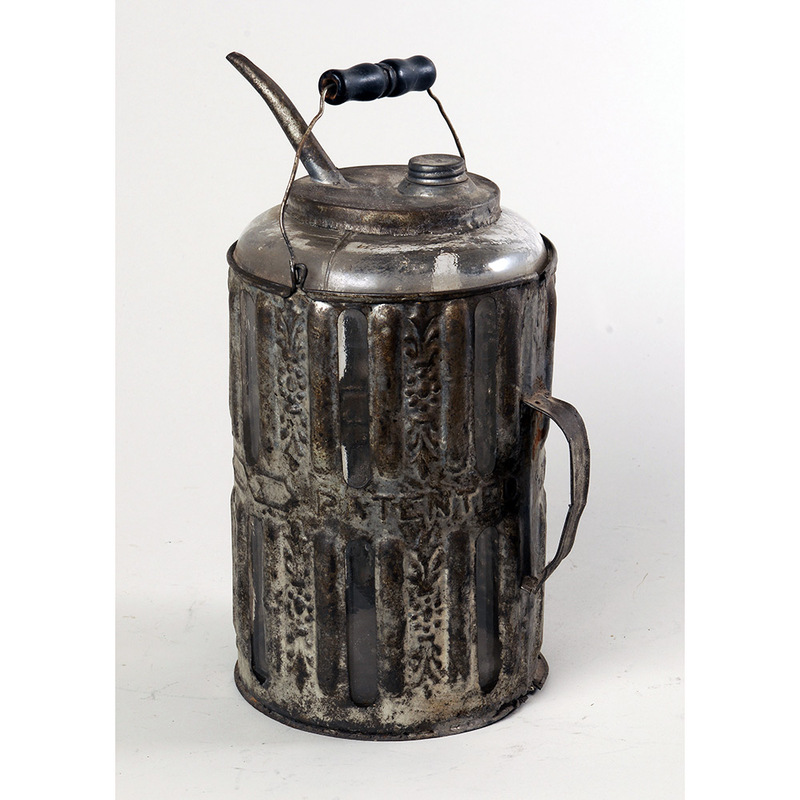 Children or servants portioned oil stored in large drums into such bottles to fill the lamps that lit kitchens and other rooms.